Best biology tuition and coaching classes for 11th 12th in Patna by expert and experienced bio faculty / bio teacher at Modern Bio tutorial in Boring Road, Patna. If you are searching for best coaching institute for biology or best teacher / tutor of biology in Patna for preparation of NEET and other medical entrance exams in 2019 or you are looking for renowned teacher of biology or you just need to join biology crash course or test series course then you must come and visit our Biology coaching centre in Boring road, Patna. If you are preparing for career in Medical entrance exams like AIIMS, NEET etc. and want to become a professional doctor then you must understand the importance of Biology subject as it plays a very vital role. In NEET, 90 questions are asked from biology out of total 180 questions. Poor performance in Biology subject can vanish your dream to become a doctor. At Modern Bio Tutorial in Patna, in guidance of Dr. Kamlesh Kumar sir, we focus on understanding this subject on priority basis. Our success records in previous years differentiates us among other biology tutorial in Patna Bihar. 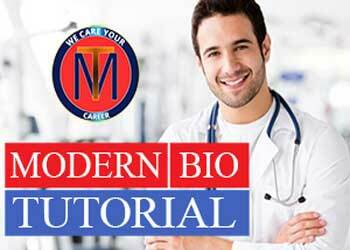 We at Modern Bio tutorial provide coaching classes for PCB, online test series for biology, crash course for biology by specialized biology expert faculty and tutors. We are ranked no. 1 in biology coaching for 11th 12th classes in Bihar due to our previous years success ratio in medical entrance exams. We have nation famed and experienced bio faculty team who create history every year.